Well, here it is, a few days after Thanksgiving…a.k.a. recovery mode. Hope everyone had a great holiday weekend! I’ve asked the Amos Boys about their childhood Thanksgivings and they didn’t have any stories to offer. But as adults, they and their wives sure created wonderful Thanksgiving memories for their children and grandchildren, didn’t they? So many of us associate this special day with the gathering of family, lots of fun and laughter, the blue and silver of the Detroit Lions and a huge spread of the most awesome food. So this post is about food (the cool picture above was after-dinner entertainment by the Amos Boys’ grandchildren—remember that, kiddos?). Food, as we know, is a universal language. It unites generations and documents our history. 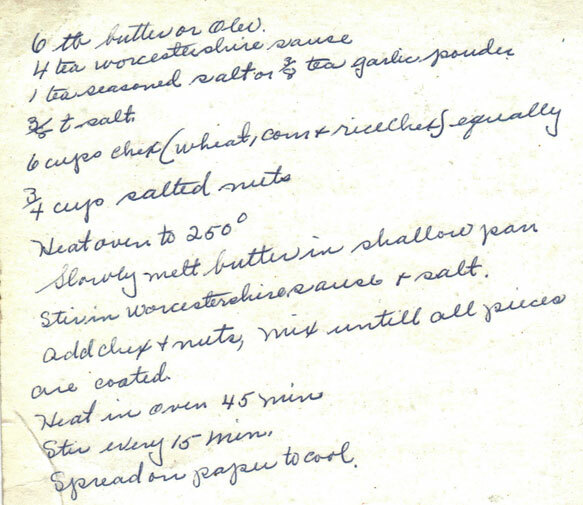 Here’s a sampling from the Amos Foodie Files (you can “right click” your mouse on any of these images and save the recipe for future reference). Jerry and Elaine have a Betty Crocker’s Picture Cookbook that belonged to the Amos Boys’ mother Gladys. 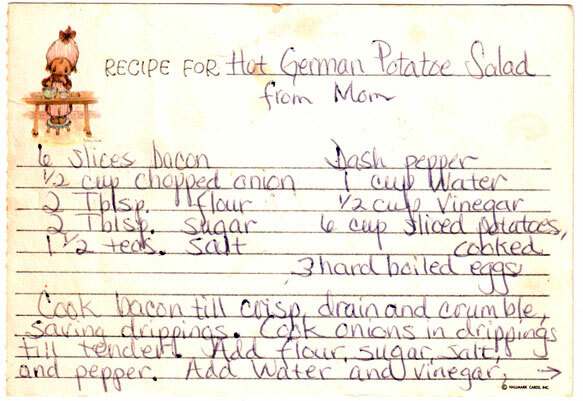 Jerry says she probably got it after they were grown and she had more time to cook (more on that next week). 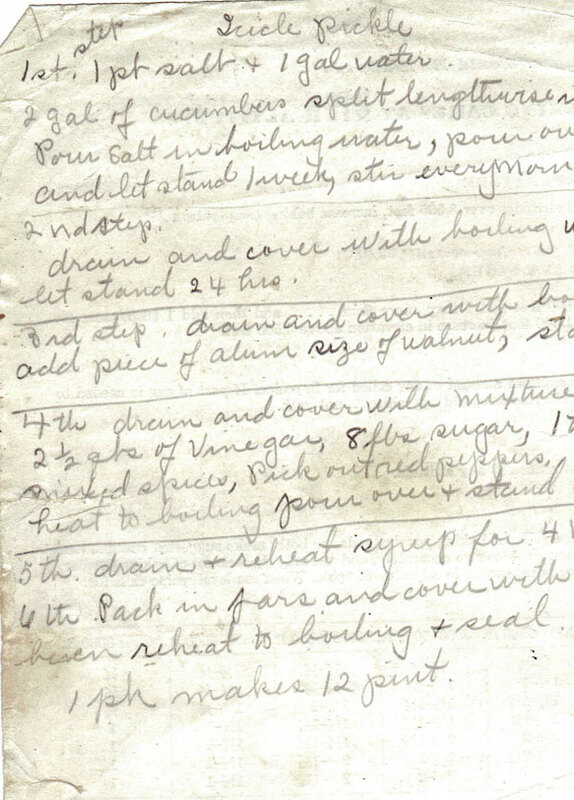 Anyway, the following are loose leaf recipes Gladys filed in that book. What would Thanksgiving be without Chex Mix? I remember two of my cousins being quite the pickle connaisseurs …ahem, Shelley, Jenny. 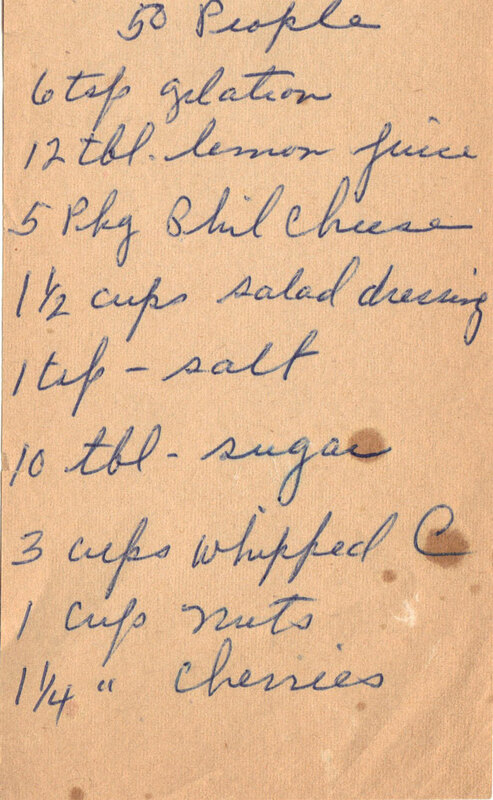 Jello salads of any kind were a mainstay at every gathering. this for your next feeding of the 50. No calories here. At all. 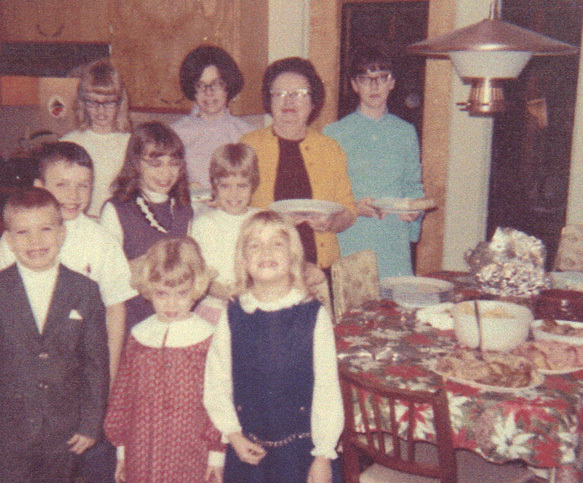 Gladys wasn’t the only one who cooked for family gatherings. In fact, her daughters-in-law Carol and Jeanie were excellent cooks, and we know from this summer’s family reunion that Jerry, Elaine and family should be assigned the role of family chefs. 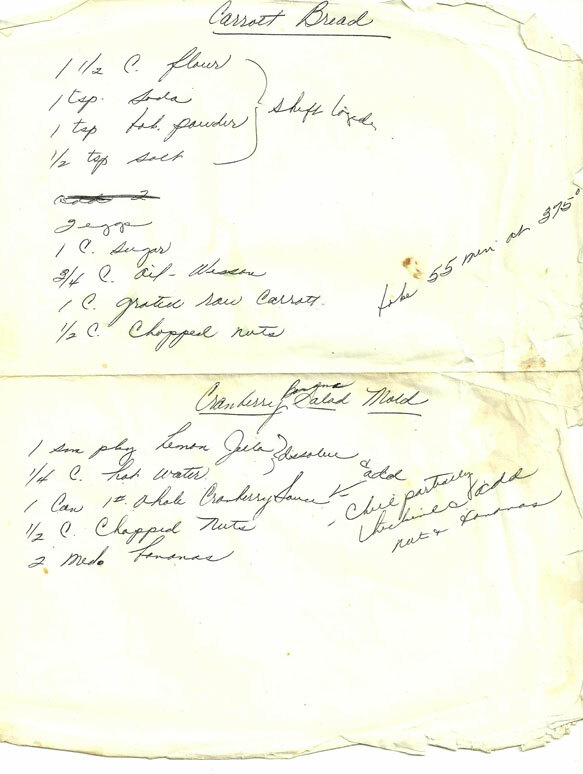 Here are some of their recipes. 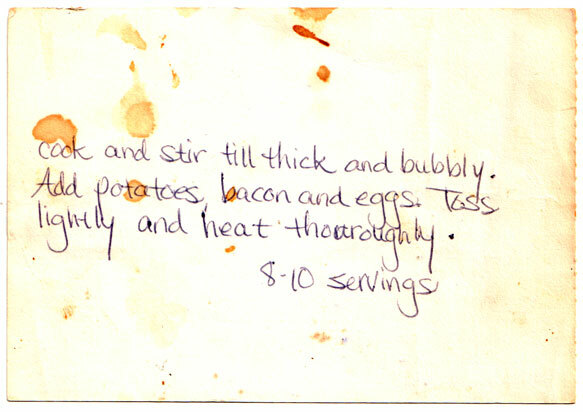 (Carol’s daughter-in-law, Cindy, has this recipe mastered. So, tell us! 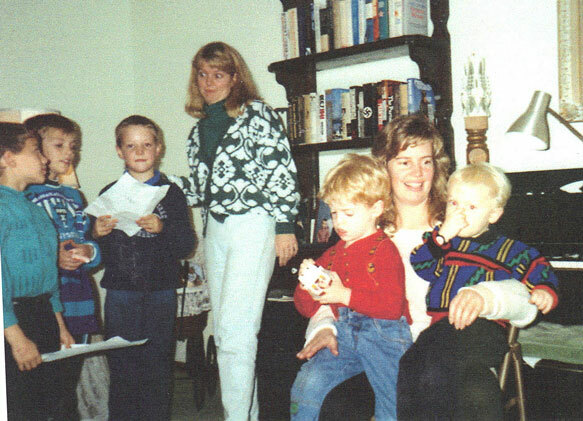 What are your Amos Thanksgiving memories? And what were your favorite foods? 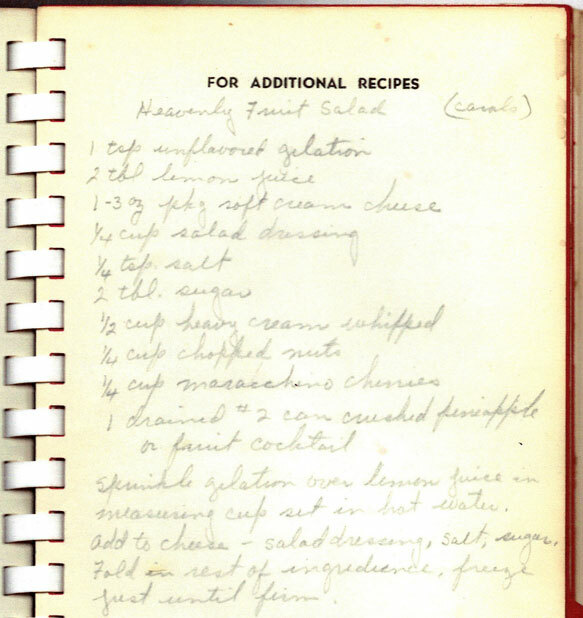 How does the food you cook nowadays compare to days gone by? Share your stories! Share your recipes! Happy Labor Day! Today is the day we celebrate laborers by relaxing and not laboring at all. We relish the last of fun-in-the-sun before officially moving on to autumn. 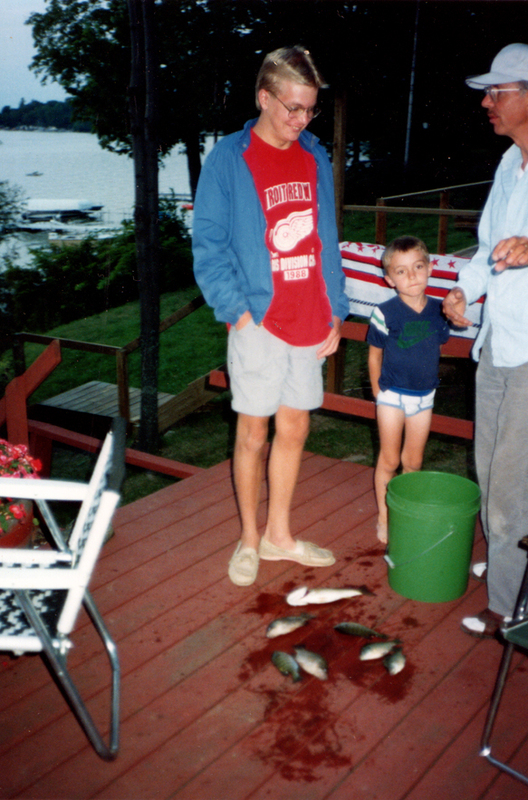 And we reminisce the fun getaways our Amos families did up north. 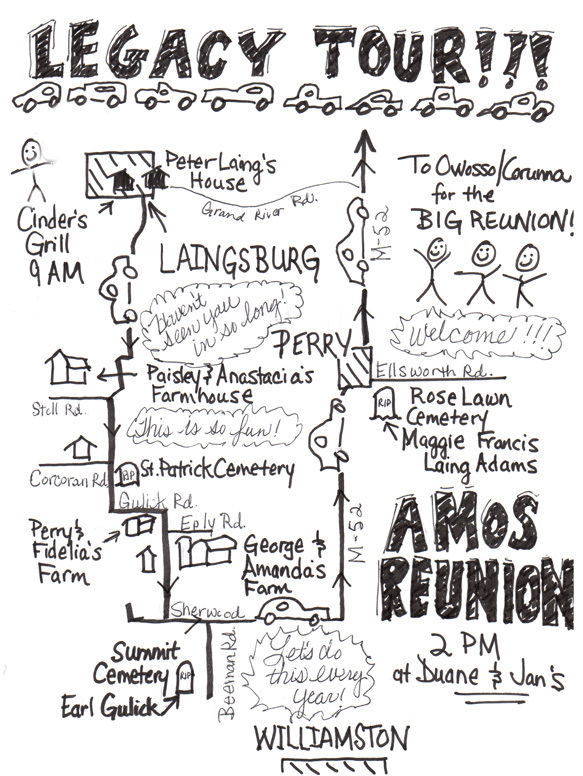 In the 1960s and 70s, the Amos families all headed to Grayling, an outdoor sanctuary 145 miles northwest of Lansing. Here’s how that all came about, according to the Amos boys. If you remember, back in the 1950s Gladys worked for the Michigan National Guard Quartermaster General. 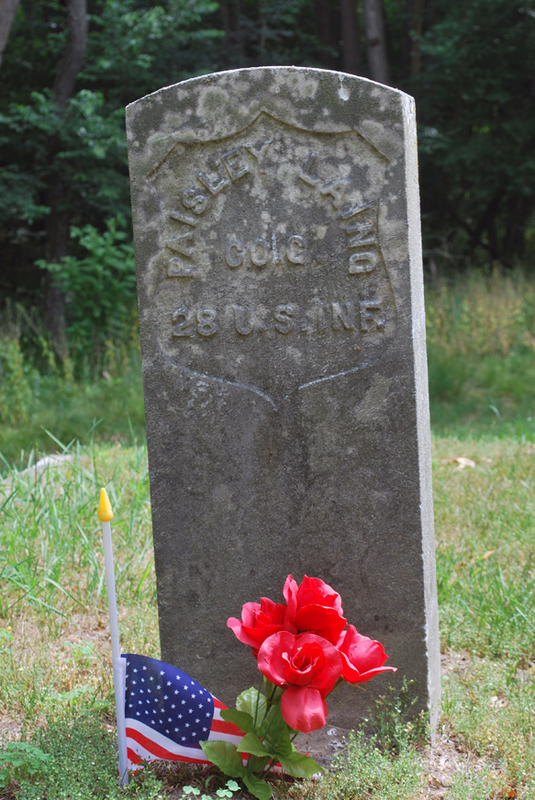 At that time the Guard owned several thousand acres near Grayling and around Lake Margrethe, all of which were part of the Michigan National Guard Camp Grayling. In what Jerry describes as “sort of a shady deal,” the Guard divided land on the north end of the lake into small lots (25 X 100 feet) and offered them for sale to Guard employees first and then to the public. “I’ve got to add my two cents,” interupts Bruce. 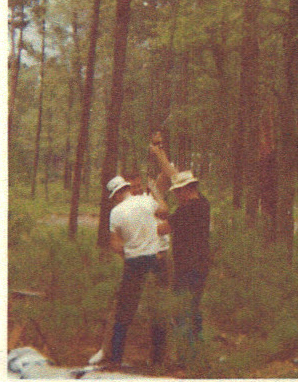 “I brought the stuff to drill the well and when I got there, Duane was already there. Jerry was late, as normal. He’s always been late, as long as I can remember. Duane was getting antsy to drill that well. I said ‘let’s wait ‘til Jerry gets here,’ but Duane, he wanted to get started. Speaking for my generation, yes, we, the Amos boys’ children had lots of fun. I remember us cousins all sleeping together in the big army tent and telling stories late at night. Like, what would happen if our parents got drunk and took a butcher knife to us children. And tried to slaughter us. Every last one of us. Super Grandma would save the day! Super Grandma would save us all! Funny thing is, I don’t remember any drinking going on. 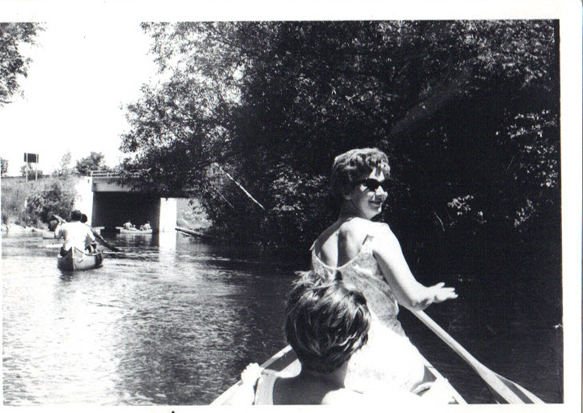 Except maybe this canoe trip on the mighty Au Sable River. Supposedly, the Amos boys and their wives were just trying to pass the beer from one canoe to another. Yes, that’s all. But somehow the canoes tipped over and we can only imagine what was lost. It’s a good thing we kids were back at camp under the diligent care of Super Grandma. Wait, are those beer cans we’re holding in that picture? Eventually, Gladys sold her Grayling lots. The Amos boys said they would’ve liked to have bought them, at least some of them, but she sold them to someone else. 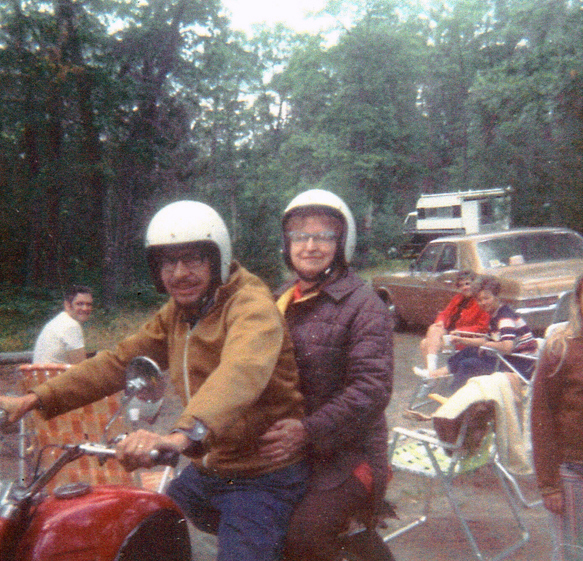 Instead Gladys began renting a lot in the Crystal Lake campground, located about 50 miles northwest of Lansing. 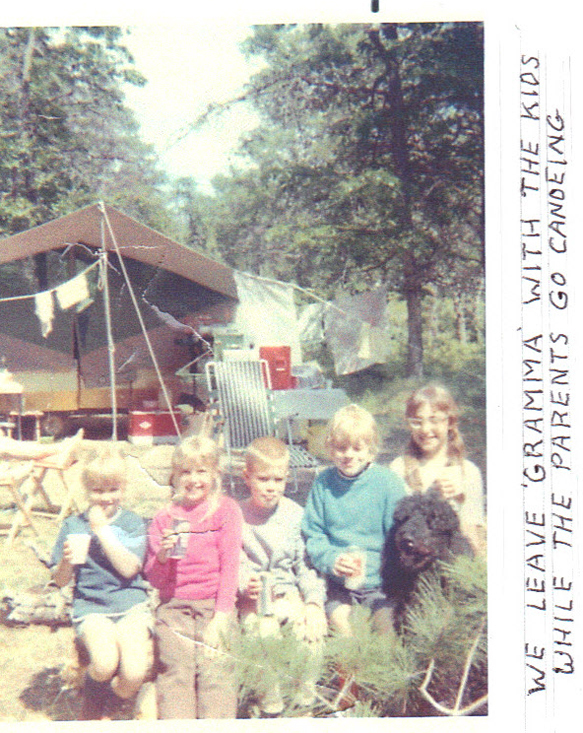 So, what are your favorite memories of camping up at Grayling? Or going to the trailer at Crystal Lake? It’s been a week since our reunion and it kind of feels like post Christmas blues. We all had such a good time! It was so wonderful to see people we hadn’t seen in years and get to know those we hadn’t yet met. Two things are for certain—those of you who couldn’t come, you really missed out. And those who did, want to do it again! So let’s start talking now and get some plans in the works! And now for the recap! 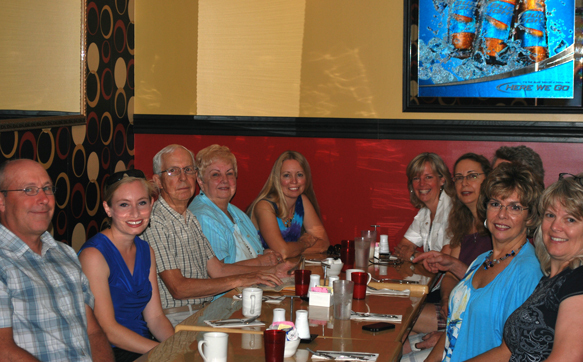 Although the reunion actually started days and days before when Duane, Jan, Dave, Sam and Sarah set up the venue and Jerry, Elaine, Jerri Lynn, Jenny, Shelley and Cheryl prepared the food, we officially kicked off the day with our Legacy Tour Breakfast at Cinders Grill in Laingsburg. Cinders served us a delicious breakfasts and patiently put up with our excitement (boisterous greetings and hugs without regard) and jovialties (loud and continuous laughter). The picture above shows us looking rather lethargic. I assure you we were not. Thanks Cinders, you were the best! And thanks Laingsburg News for featuring us in your weekly news! After breakfast we stepped outside and literally took over the town (remember Laingsburg is not that big). 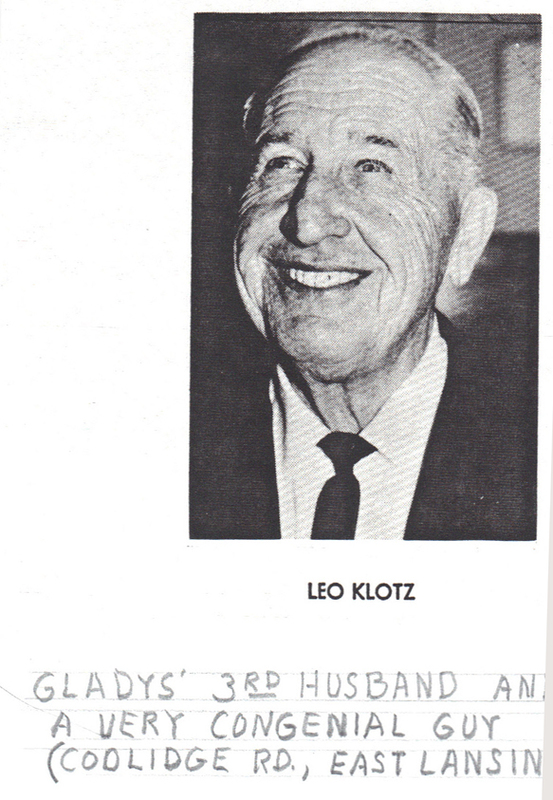 Jerry handed out the Legacy Files he meticulously compiled, complete with family tree information and maps. 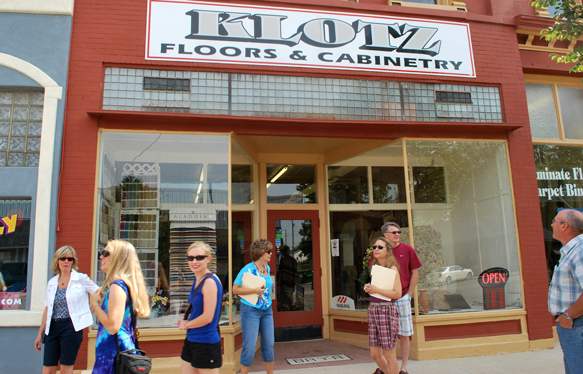 And Elaine stepped inside this store—how interesting, it turns out the store is owned by grandsons of Gladys’ husband Leo Klotz. Not a good picture of the house but a great one of three lovely ladies! 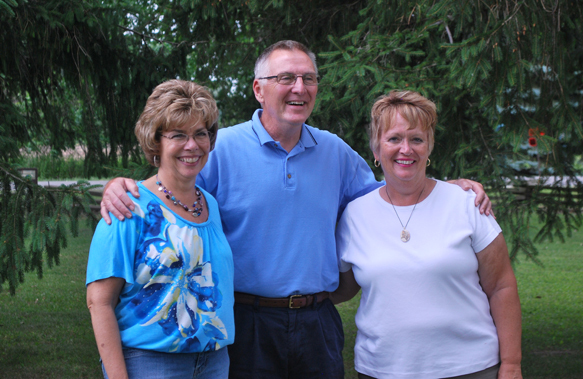 L-R: Jenny (Jerry’s daughter); Ruth (Duane’s granddaughter); and Cheryl (Duane’s daughter). 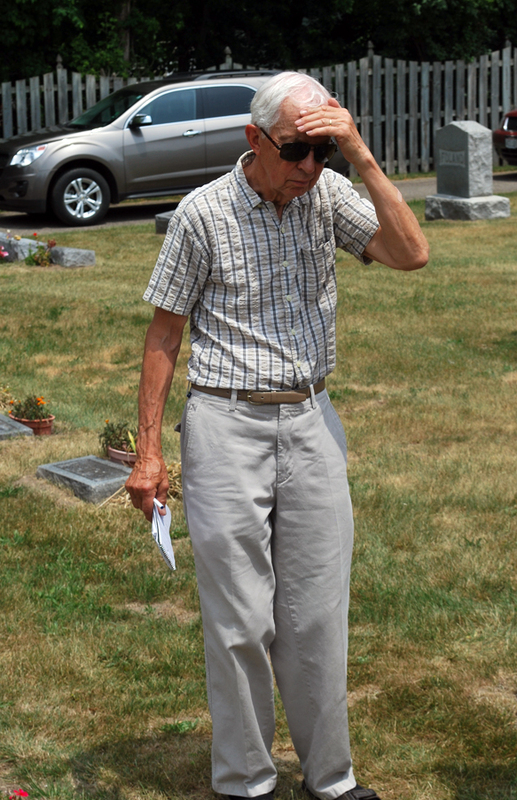 We walked by the empty lot where Peter Laing’s second tavern and inn once stood. 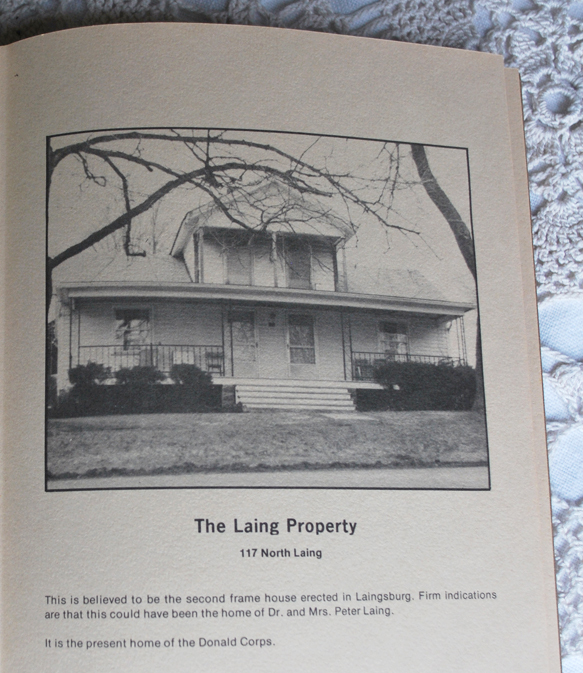 We then checked out this house, located on 117 North Laing St, where Dr. Peter Laing and his wife Laura lived when their son Paisley was born. 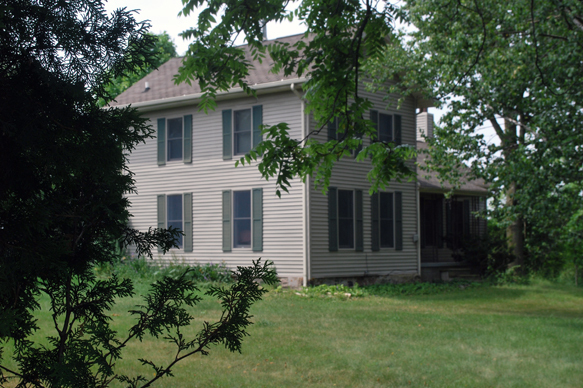 You can find a better picture of the house in the Legacy Files, and also on page 13 of the book Hill and Below. 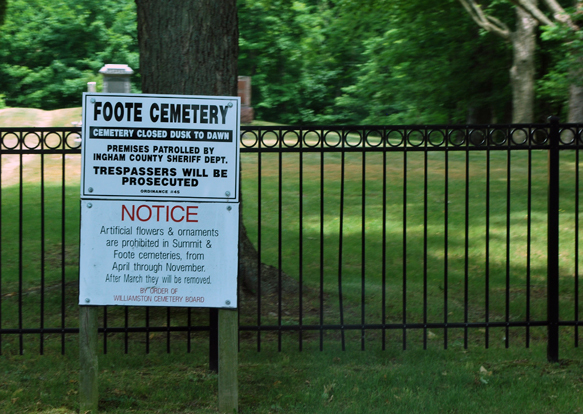 From here, we all hopped in our cars and drove to the cemeteries. 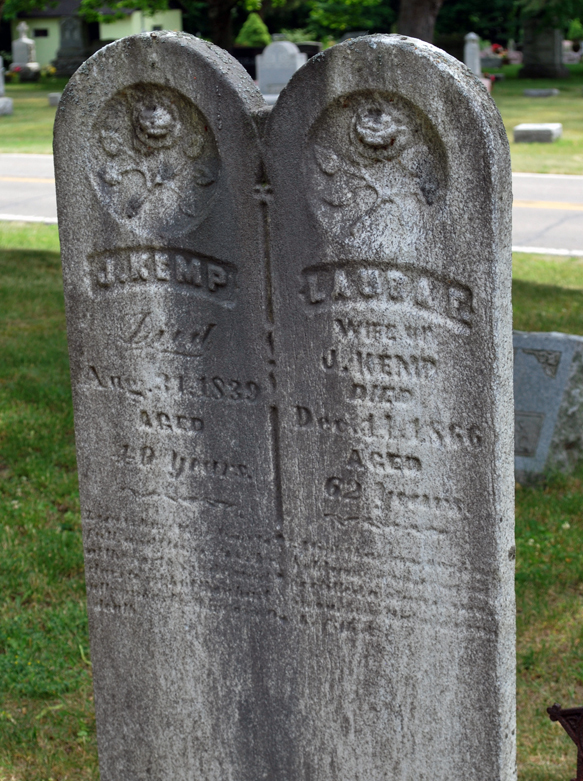 Dr. Peter Laing and his second wife Laura Kemp (Paisley’s parents) are buried in the Laingsburg Cemetery, located just outside of town. 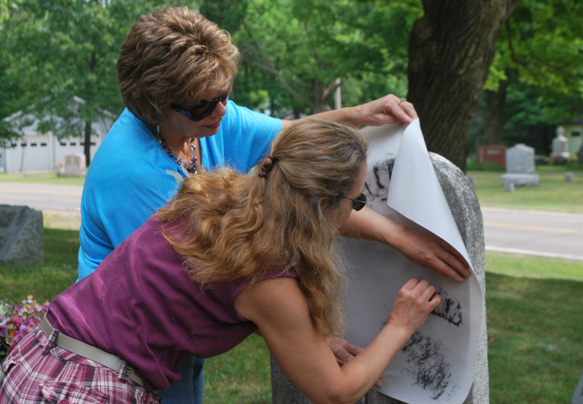 Jerri Lynn (Jerry’s daughter) became the appointed “rubber” and is assisted here by Shelley (Bruce’s daughter). 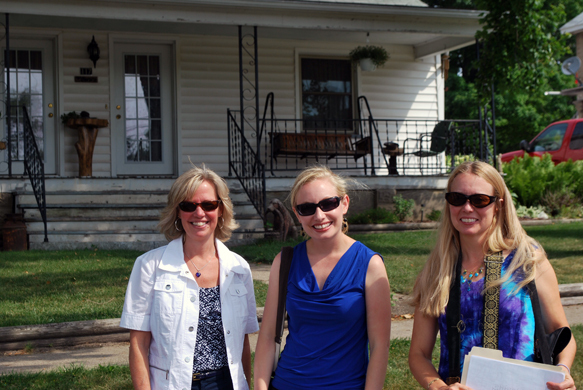 We stopped at the farmhouse on Stoll Road where Paisley and Anastasia Laing once lived. 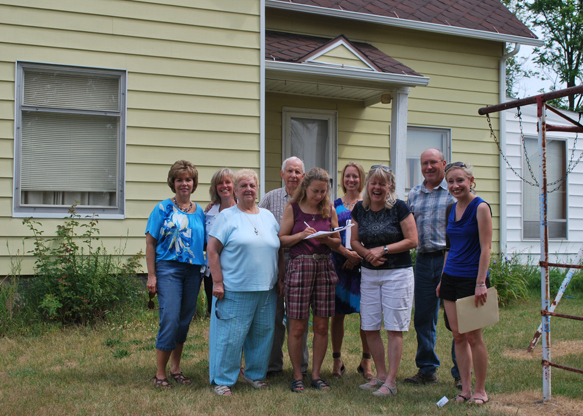 The current owners were gracious enough to let peruse their lawn and take pictures. Here, we’re re-enacting this photo (gee, if anyone has a better shot, I’m sure some of us wouldn’t be the least opposed to replacing this photo). 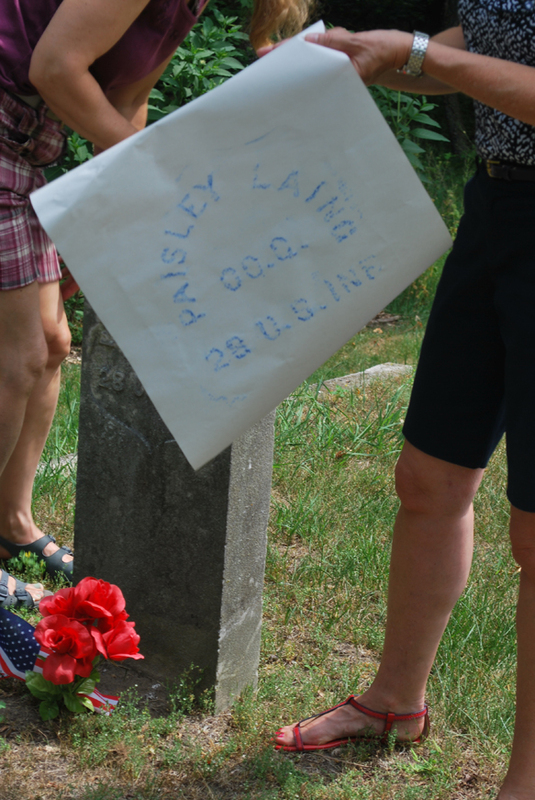 We found Paisley’s gravestone in the St. Patrick Cemetery, also his daughter Fannie Laing Hart’s (Maggie’s sister and the Amos Boys’ great-aunt). But we couldn’t find Anastasia’s gravestone. 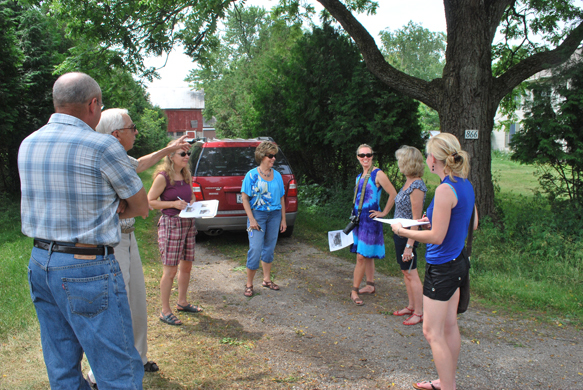 Next stop: Gulick Road, to visit this well-kept farmstead where Perry and Fidelia Gulick once lived. 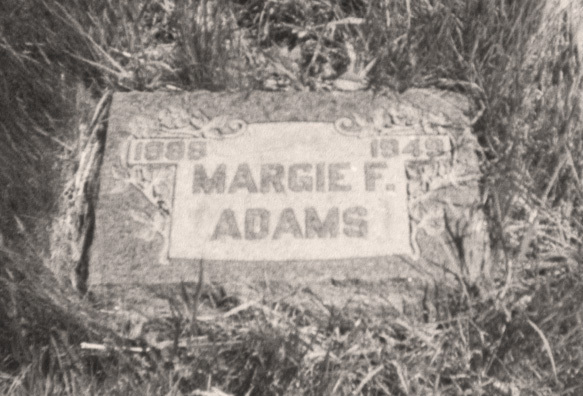 Gladys was born in a house right next door, which is no longer there, and she also spent many years living here with her grandparents Perry and Fidelia. It wouldn’t be at all alarming to learn that this shifty-looking crowd was hanging out in your driveway while you were gone, would it? 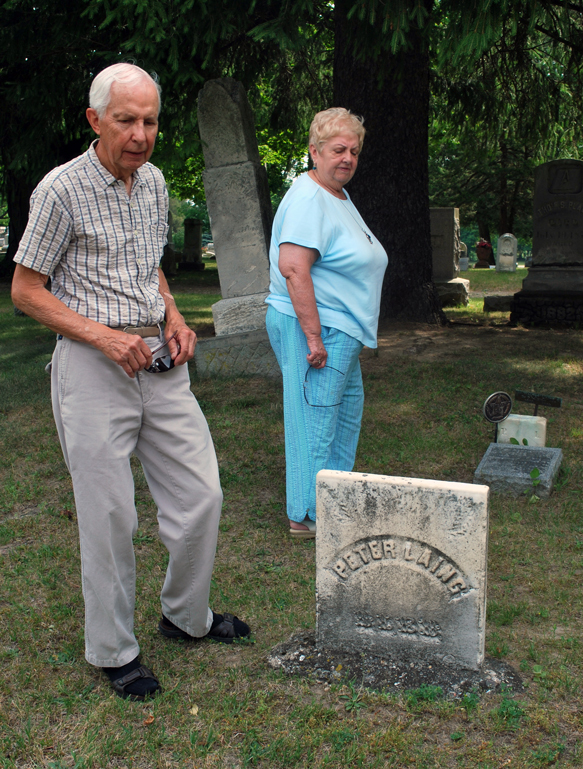 Jerry and Elaine planned in advance and notified cemetery sextons that we would be visiting—good thinking, because these country cemeteries could easily have been locked. 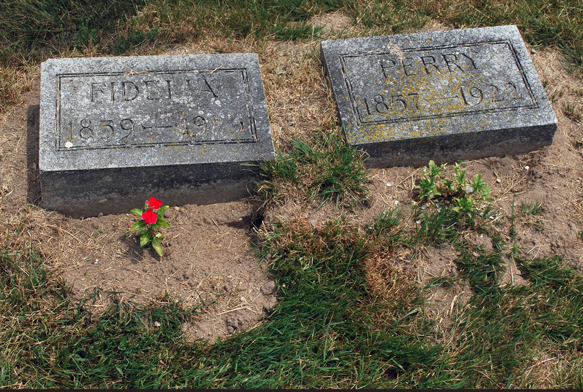 John and Fanny Capen (Fidelia’s parents) and Perry and Fidelia Gulick are all buried in the Foote Cemetery on Sherwood Road, in the rural Williamston area. 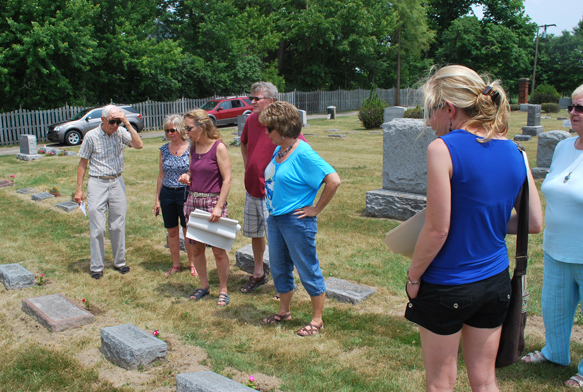 Our last stop on the Legacy Tour (by now many of us were wishing for a bathroom…) was the Rose Lawn Cemetery in Perry. 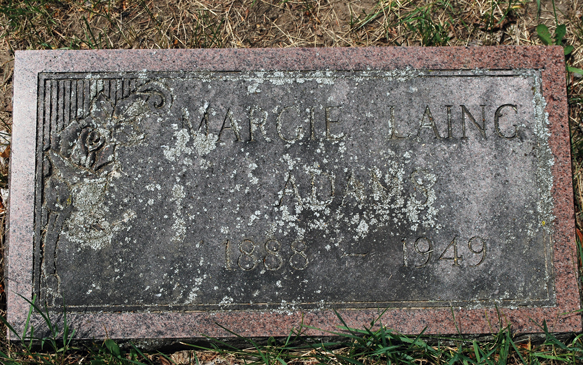 Here, Margie (Maggie) Laing Adams is buried. 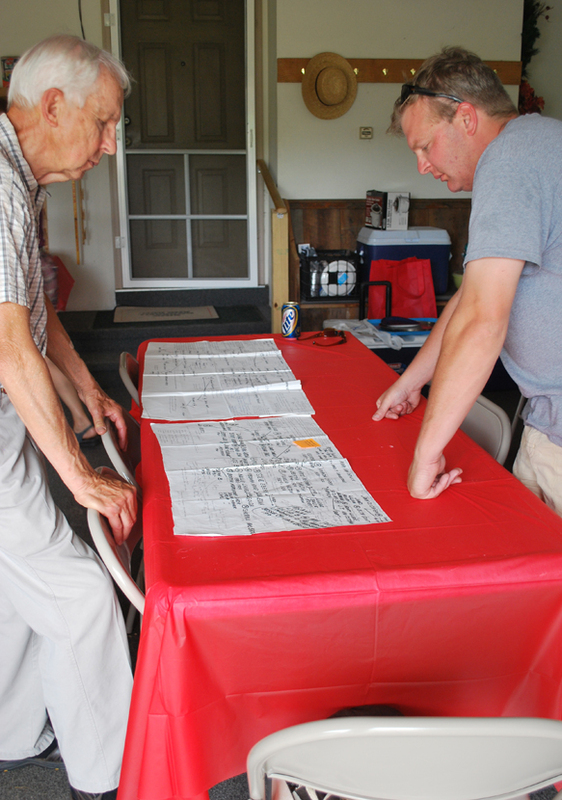 Jerry and Joel check out the family tree charts and tables of photos. 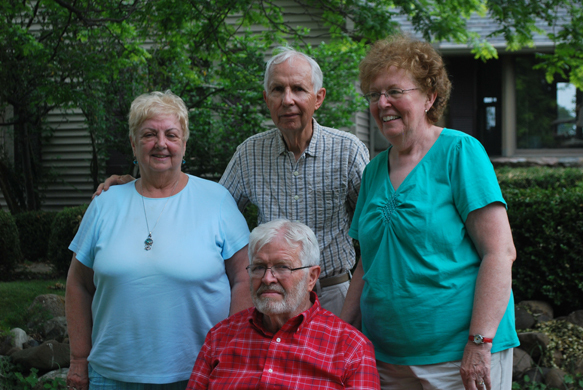 Back at Duane and Jan’s, the reunion started off with finger food and great conversation. Which led to more and more food. And more great conversation. And lawn games. And a slide show from the 60s. It couldn’t have gotten any groovier! To top it off, we took more photos for more memories! 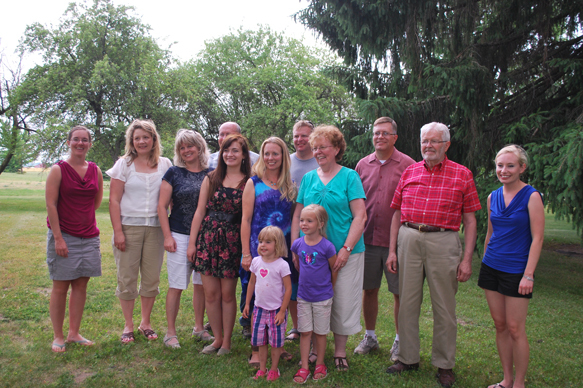 Bruce’s family (Shelley’s children and grandchildren were also here, but missed out on the pictures). 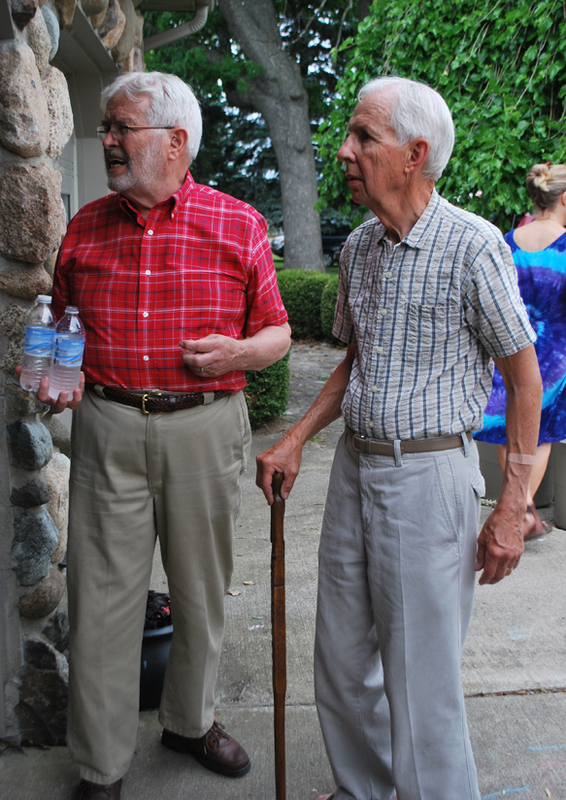 Brothers Duane and Jerry with a cane handcrafted by Perry Gulick. Our reunion hosts: Elaine and Jerry, Duane and Jan. Thanks SO MUCH for putting on this most special event! 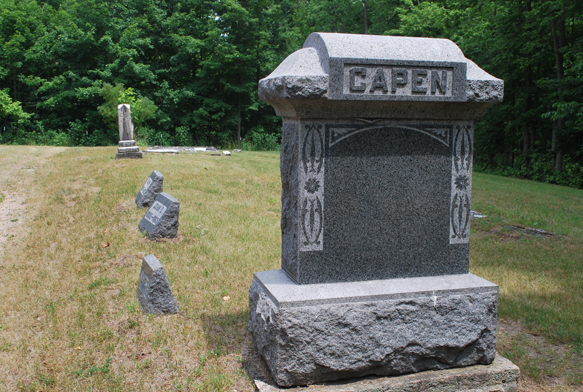 Anyway, planning for this year’s meeting has got me thinking about traveling to Michigan in three weeks for the Amos Reunion and the cemeteries we’re going to visit as part of our historical road trip. I’m getting so excited! In fact, we’ve now given the road trip an official name—the Gulick-Laing Legacy Tour, or, simply the Legacy Tour, since we don’t want to appear overly ostentatious. On Saturday, June 16, at 9 am., we’ll meet at Cinders Grill in Laingsburg. We’ll enjoy a dutch treat breakfast. We’ll go over route maps and handouts that Jerry is putting together. And best of all, we’ll raucously reconnect with those we haven’t seen in years! After breakfast, we’ll all take off in our cars for the Legacy Tour. We’ll drive past homes where our ancestors lived. 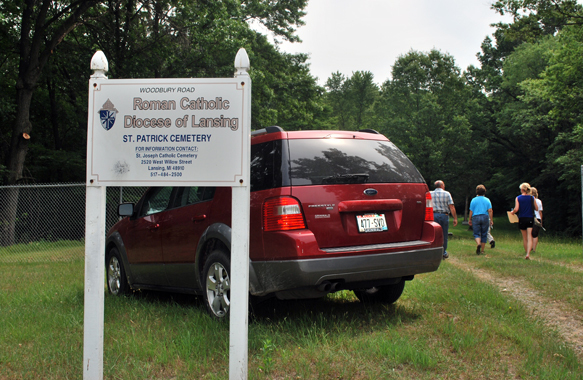 We’ll see sites where important buildings once stood. 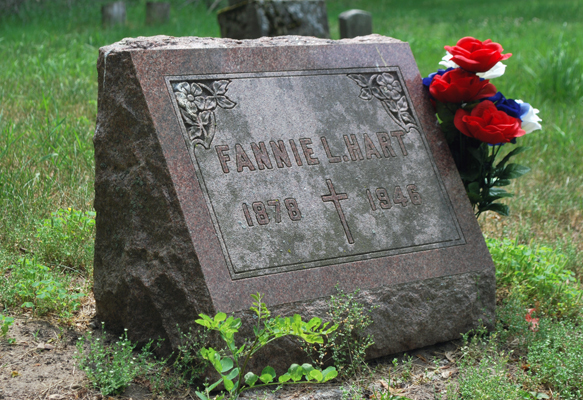 And we’ll visit cemeteries where our family members are buried. The tour may take 3-4 hours, depending on our speed. Join us whenever you wish, stay as long as you can stand us. But the best comes after the Legacy Tour! Duane and Jan’s house is where the real action will be! I hear they’ve even put in a horseshoe pit. The reunion starts at 2 pm. Come whenever you can, but for sure be there by 5-6 for the delicious dinner! For some, it’s been decades since we’ve seen each other. Others of us haven’t even met. How will we know we’re Amos’s? Joel came up with identifying clues. We need you to add to them! 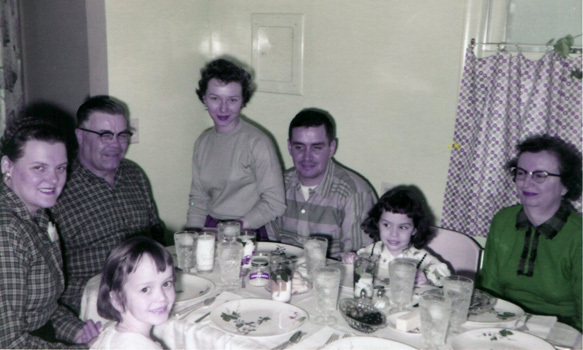 When my generation—the Amos Boys’ children—were kids, we always gathered for holidays, birthdays, Mother’s and Father’s Days, and summer outings. 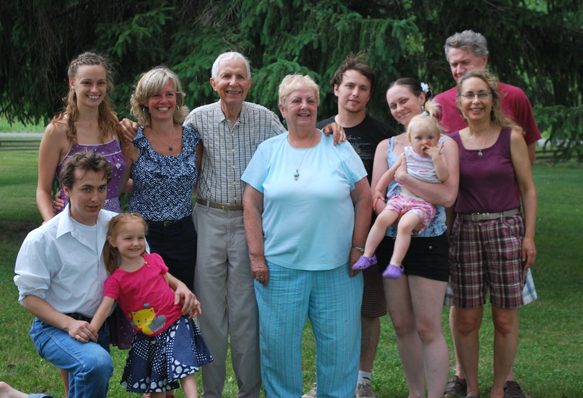 We’d all get together—us kids, our parents and our grandparents. It’s just what we did. It wasn’t until I was an adult that I realized how unique this was. 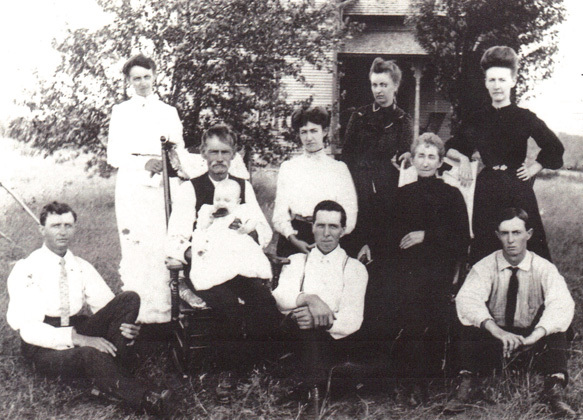 It’s unique because there in attendance were Roland, his wife Harriet, and his ex-wife Gladys. And everybody got along. Maybe unique isn’t the best word. Maybe special is better. And caring, giving and tolerant. I once asked Harriet about this. It was after Roland died and we were talking about special things. She said they did this right from the beginning. Apparently, there was to be an upcoming gathering and Bruce’s wife, Jeanne, said she was not going to have separate parties. Harriet asked Roland if that was okay. He said yes. Roland asked Gladys if that was okay. And she said yes. 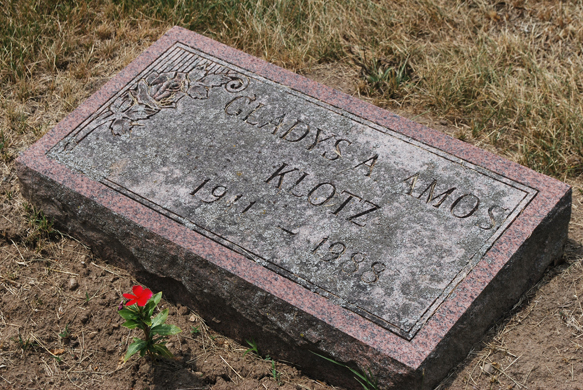 In our phone conversation this week, the Amos Boys talked about Roland, Harriet and Gladys. “They made it plain they weren’t going to have two or three different celebrations each time,” adds Jerry. and herself as the second Mrs. Amos. Harriet told me this togetherness was awkward only when my sisters and I invited them, the grandmothers, to our school’s annual Mother-Daughter Banquet. 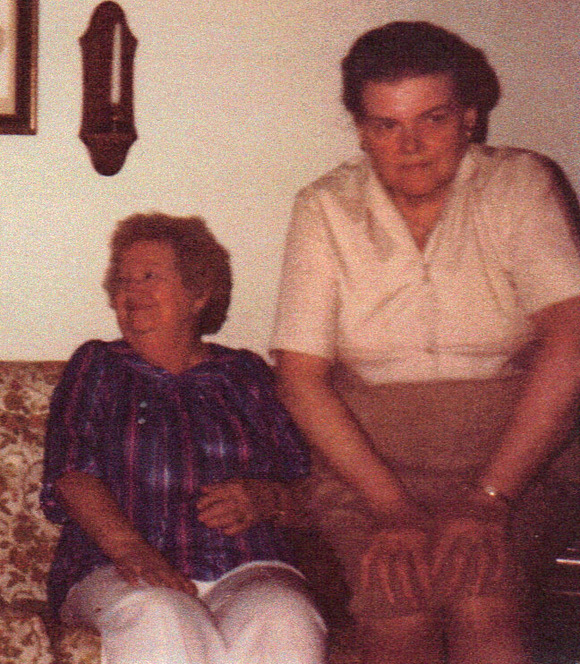 Harriet would always pick up Gladys and they would ride from Lansing to Owosso together. 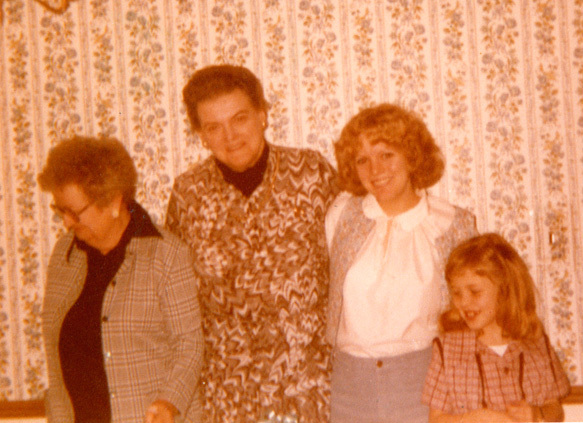 This week our post is dedicated to the awesome mothers in our family—Gladys, who was mother to our beloved Amos Boys; Harriet, who happily took on a ready-made family; and Carol, Jeanne and Elaine, who married the Amos Boys and had us kids. And, of course, here’s to the generations of mothers that now follow.